Jasco provides a variety of stylish structural and load bearing columns and posts available in aluminum or fiberglass and providing beautiful design along with versatile maintenance-free performance. 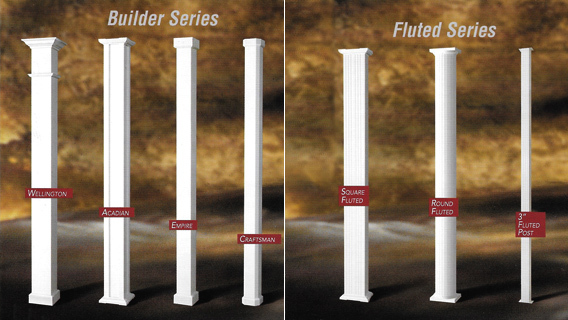 To get a quote or more information about Columns, especially for homeowners and contractors in the Long Island, NY area, please contact us or use the easy form in the right column. We look forward to helping you turn your project plans into a reality.